Here are some of our more general tips and advice. For more specific advice please refer to the appropriate section on the Residential Park Home Insurance, Static Caravan Insurance or Holiday Lodge Insurance FAQ pages. What is site clearance and debris removal? What is wear and tear and maintenance? Can I live on a holiday park? Do I need to get a survey or instruct a solicitor when buying a Home? As jewellery claims are settled on the replacement cost of the damaged or lost item, if you do not have an up to date valuation it can be extremely difficult to establish a value for the lost or damage item. Parksure recommend you get your Jewellery valued at least every 5 years as a precaution. Reinstatement is an insurance term more commonly known as New for Old Cover. If you have this cover, in the even of total loss, you should get a brand new equivalent home of a similar size and standard. This cover does of course depend on whether your sums insured are sufficient enough to cover you to purchase a brand new replacement home; along with site clearance, delivery and re-siting costs? If they are not then you do not have new for old cover! So you will be liable for the additional costs. Too many people believe that they simply need to insure for the purchase price of the home from the manufacturer and forget that this does not include clearing away the old damaged unit, delivery of the new unit and the cost of re-siting the new home. Remember if the sums insured are not enough to replace the home, then it is not new for old cover, despite what is says in the schedule. We would normally ask you to check with your park owner to see what he/she would recommend you allow for reinstatement costs but make sure he/she understands this is for insurance purposes not the re-sale value. Indemnity Cover is an insurance term, more commonly know as Market Value Cover. This means that instead of a replacement home should you suffer a total loss, you will only receive a second hand equivalent home if available or the current market value of your home. This is the market value of the actual home itself, not the resale value of the home on the site. If you have such cover should you have a total loss or even if the home is damaged, the insurers will only pay for the cost of repairs and then only up to the sum insured. If the home is classed as a total loss, your insurers will have to take the cost of Site Clearance and Debris Removal off the value of the sums insured before they even consider looking at purchasing a second hand home, so it is important to make sure you include Site Clearance and Debris Removal, delivery costs and re-siting costs as well. We would normally ask you to check with your park owner to see what he would recommend you allow for these costs. If you are unfortunate enough to suffer a total loss claim, before your insurers can even consider replacing your home, they need to clear away the debris of your old home and if need be, repair the base of your home. The cost of site clearance and debris removal can vary significantly according to which park you are on and whereabouts you are in the UK; the closer to London you are for instance the more expensive labour and delivery is. It is always best to talk to your park owner to see what they would recommend you to allow for this. If you suffer a total loss, your home will need to be replaced. This will be ordered from the manufacturer, so you need to allow for delivery costs from the manufacturer to the site. Delivery costs can vary significantly according to which park you are on, how far you are away from the manufacturer and whereabouts you are in the UK; the closer to London you are for instance the more expensive labour and delivery is. It is always best to talk to your park owner to see what they would recommend you to allow for this. Once you have purchased the home, cleared the site and the home has been delivered, you need to also allow for re-siting fees to connect your home back up to electricity, gas and sewerage. The park will charge you for re-connecting up your home and there may be an extra charge if you have a skirting round your home. It is always best to talk to your park owner to see what they would recommend you to allow for this. Wear and tear can normally be described as damage that has resulted from the home or object naturally reaching the end of its life. This is normally something that can be prevented if the home or object is regularly maintained. Examples would be windows seals leaking/perishing. Damaged guttering not being repaired and then causing water damage to the property. Wear and tear/maintenance is not normally something that is covered by any Insurance Company as it is deemed to be the responsibility of the owner. An excess is the first amount you have to pay in the event of a particular claim. The excess is normally £50 or £500 for subsidence claims. The reason for an excess is to stop people claiming for minor accidents or losses as they fall below the excess limit. If there were no excess, clients could claim for relatively small claims that would actually cost more in administration costs than the claim was actually worth. This might not seem like a good thing on behalf of the customer but the extra cost in dealing with these minor claims would be recouped by increased premiums which may be more than the claim cost in the first case. Certain holiday parks have been granted a 10 or 11 months licence by the council and many clients assert that because of this they have the right to live permanently on the holiday park and then go on holiday during the closed period. The fact the park has a 10 or 11 month licence does not give you the right to live on the site permanently and you have no right in law to do so. If this is your main residence you need to disclose this fact to your local council and pay council tax but once again this does not give you a legal right. If the park is a holiday park, you are governed by the park rules and regulations which are renewed annually. This means that you could buy a holiday home and live in it, insure it and pay council tax on it for many years and then at the renewal of the park licence, find out the park has been sold and the new owners want to remove all the holiday homes and sell the land for redevelopment. This is a very risky venture and you have no protection under law. The Park Home and Holiday Caravan Magazines are full of examples of this happening and unfortunately, you will have no one to blame but yourself as it is after all just a holiday park, meant to be used for holiday use only. Frost damage and escape of water can cause serious damage to your home whenever it is left unoccupied. So we recommend that you follow our closing down recommendations if you are to leave your home unoccupied during the winter period from 1st October – 31stMarch when special restrictions apply to your insurance. Between 1st April and 30th September, special restrictions apply, after the home has been continuously unoccupied for more than 30 days. As above if you are to leave you home for more than 30 days or during the winter period from 1st October – 31st March when special restrictions apply to your insurance, we recommend you carry out the following. Alternatively contact the park as many Holiday Parks offer an optional closing down service for their customers. Empty and clean the refrigerator, leaving the door propped open making sure the freezer section has been thoroughly defrosted first. As frost damage and escape of water can cause serious and distressing damage to your Holiday Home, whenever unoccupied we recommend, the water supply is always turned off and a full central heating system, is set to operate daily and overnight to a minimum temperature of 15 degrees centigrade, when the Holiday Home is left unoccupied for more then 24 hours. Flooding affecting Cumbria in November 2009 and large parts of the country back in 2007 will still be fresh in the minds of many people. This type of event can be surprisingly quick to develop and we often hear tales of less than 20 minute warnings of a river or stream bursting its banks. You can sign up for Floodline Warnings Direct by calling Floodline on 0845 988 188or by visiting the Environment Agency website. If floodwater is about to enter your home, turn off the gas, electricity and water supplies if it is safe to do so. DO NOT touch sources of electricity when standing in flood water. Move irreplaceable personal or sentimental items, such as photographs – as well as portable items – to an upper storey or higher location in your property to prevent loss or damage. Also check your garage to see if any items can be moved. If possible, raise ground floor furniture on blocks or bricks to minimise the risk of damage. We have access to a wide range of specialists who can assist with the drying out and clean up of your property and also the necessary repairs or replacement. If there is any chance that electrical sockets have come into contact with water, switch off the electricity at the mains but only if it is safe to do so. If your electricity is switched off following an incident, make sure that a qualified electrician checks the electrical installation before it is switched back on. If your gas has to be turned off, make sure that a GasSafe registered tradesperson checks the gas supply before the gas is switched back on. Do not throw away any items until we or our loss adjuster tell you it is OK to do so. Wear appropriate clothing and gloves when handling anything that has been contaminated by flood waters. Remember floodwater often contains sewage, so take sensible hygiene precautions. Carry out any emergency repairs to protect your property from further losses. If you’re unsure whether the cost of repair is covered under your insurance, contact us. Yes we would recommend you get both carried out. It is not essential to involve a solicitor or get a survey carried out when buying a Park Home / Holiday Lodge or Static Caravan but it is advisable to get both; as you are going to be spending a lot of money and you want to make sure that you avoid many of the pitfalls that are well known to people in the industry and so easily avoidable should you get a survey or solicitor involved. This will not protect you from every possible problem but it will weed out a lot of them and give you peace of mind. 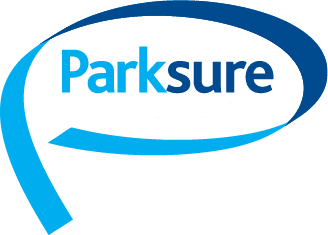 The latest problem that is plaguing the industry is to sell someone a Park Home or a Holiday Lodge that is situated on a Holiday Park with a 12 month Holiday Leisure licence; the impression is given (although never stated) that you can live on the park all year round and potential clients think this make it a Residential Park. Its is not; it is a 12 month Holiday Park. Unfortunately for many people the first they realise of this is when they come to insure the home and we inform them that we cannot insure them as they are living on a Holiday Park and breaking the rules. Of course a surveyor and solicitor would have found this out and saved you all this hassle; or you could find out by doing your own due diligence by contacting the local council and checking the licence of the park. Park Home and Leisure living can be idyllic but don’t fall for these scams in your rush to enjoy this life.